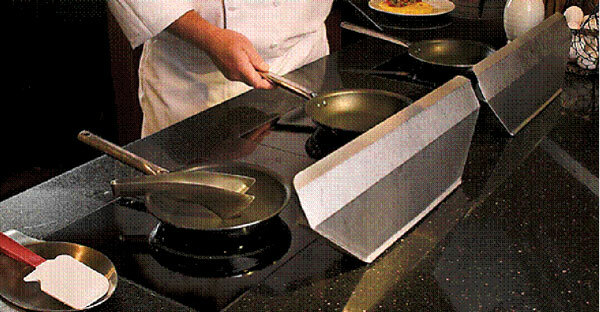 The self-contained Down Draft Air Filtration System is designed specifically for use with Spring USA induction ranges in mobile and semi-stationary action stations. 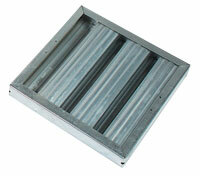 Hidden inside the table, only the top, removable vent can be seen. 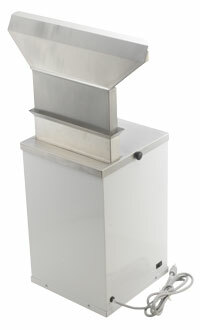 Includes stainless steel drawer slide for ease of service. 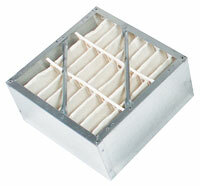 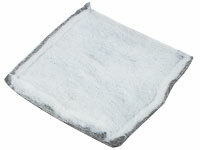 Three stage filtering (baffle, media and charcoal) removes over 98% of 5 micron particles. 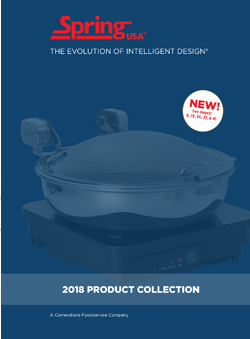 Specifically designed for induction cooking.